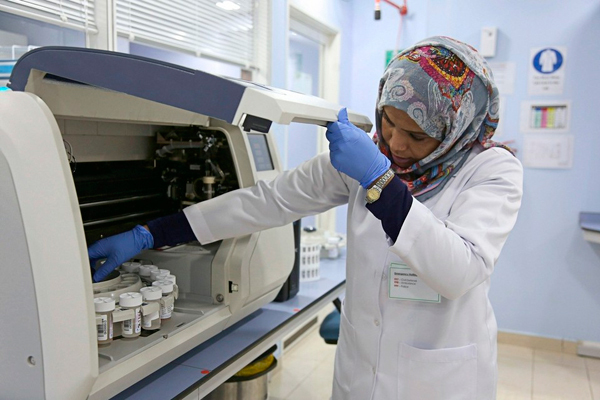 Al Borg laboratories, a leading chain of private standalone medical laboratories in the Middle East and North Africa (Mena), have solidified their presence in the region with more than 40 branches conducting six million tests annually. With its 16 years of healthcare experience, and a network of establishments across Kingdom of Saudi Arabia, UAE, Qatar, Bahrain, Kuwait, Oman and Ethiopia, the group has entered into an alliance with Quest Diagnostics, said a statement. EY, a global professional services firm, is predicting that by 2020 the GCC healthcare market will be valued at $69 billion; simultaneously the diagnostic market will grow as well. With a clear understanding of the diagnostic market requirements, Al Borg creates, through its collaboration with Quest Diagnostics, value through hospital laboratory outsourcing, esoteric tests and technology transfer, to name a few. It provides improved laboratory operation via scale economics and standardization and enhanced scale purchasing economies for reagents and supplies. Al Borg’s hospital laboratory outsourcing facility has been equipped with an integrated reliable laboratory information system that helps deliver results to its customers within a short period and eliminates staffing challenges for medical practitioners. Furthermore, it assures higher profitability of the laboratory revenue. It also acts as a ‘Laboratory Accreditation Consultancy’ and offers complete integrated logistics solutions to its clients. Dr Sameh Al Sheikh, chief executive officer and founder, Al Borg, said: “We pride ourselves with providing attention to the most minute details and adherence to the high international standards in record time, which exceeds our client expectations. "Our services and solutions offer customers quality diagnostic insights, and provide them complete integrated solutions that enhance their ability to serve their patients better.